From the board room to the branch office, critical responses to network security scenarios need to be made quickly to avoid additional data loss and network outages – yet there’s no time to make sense of days or weeks of raw data. This is when you most need your data visualized and presented from the Cloud so that you can get the information you need and take action immediately. 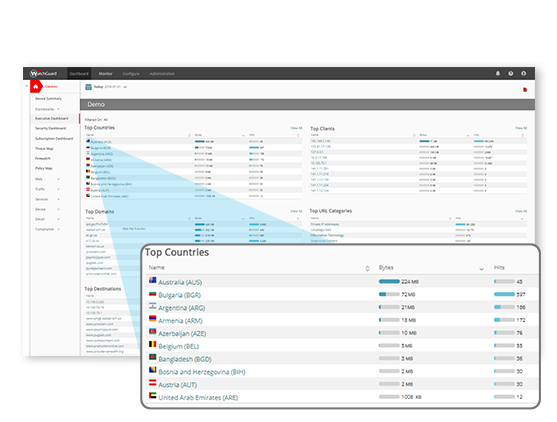 This kind of visibility dashboard is now an essential tool for today’s network security solutions. 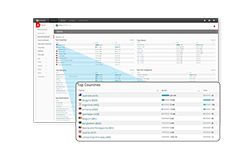 WatchGuard Cloud Visibility provides full visibility into your network so that you can make timely, informed, and effective decisions about your network security anywhere, anytime. The platform displays 100+ dashboards and reports that allow you to quickly see high-level trends and anomalies then drill down into detailed information on each. 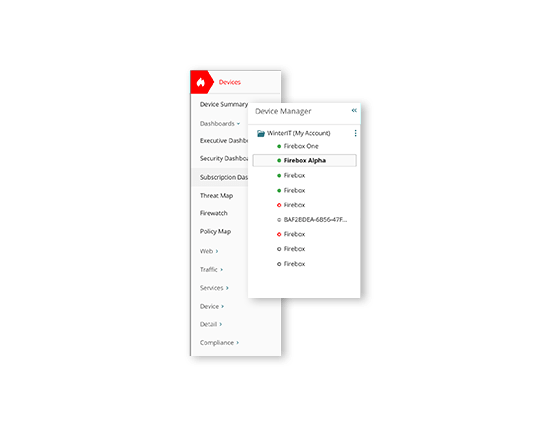 An on-premises visibility solution is available for those who do not want to move to the Cloud: WatchGuard Dimension. Dimension provides the big data visibility and reporting tools that uniquely identify and distill key network security threats, issues and trends, accelerating the ability to set meaningful security policies across the network. Try Dimension now. A picture is worth a thousand words. 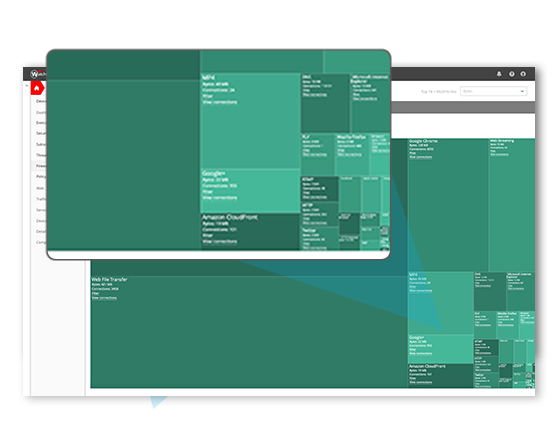 Get a high-level, aggregated “big picture” view of network activity that pinpoints top threats and trends, active policies and traffic patterns, and correlated views of top users and applications. See network activity presented visually, in real time, in intuitive and interactive dashboards and reports. The elegant visualizations make it easy to identify potential threats, monitor Internet usage and gain critical insights about related traffic trends. See, at a glance, who is consuming the most bandwidth, if there are unusual traffic patterns, and what the most-visited websites are. 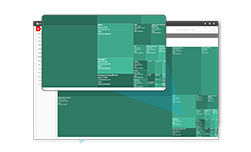 Easily pivot, drill down, and filter to get exactly the info you need, when you need it. Choose from over 100 comprehensive reports and dashboards, with the ability to schedule reports for email delivery to key stakeholders – from C-level executives and IT directors, network managers and security analysts, to HR and department managers. Special reports are available for PCI, HIPAA, and KCSiE compliance. And for compliance mandates that require Personally Identifiable Information (PII) be masked, Dimension offers a powerful User Anonymization feature. Which solution is better for your business – Cloud or On-Premises? The core visibility functionality is available in both WatchGuard Cloud Visibility and on-premises Dimension. However, partners or end users who would like to unlock all the benefits that come with the Cloud can upgrade to WatchGuard Cloud Visibility for scalable, high-performing logging and reporting. By moving to the Cloud, this service offers the insightful visibility of Dimension, but is effortless to deploy and is faster, more powerful, and more scalable.